If you are thinking about moving to a new city, make sure that you give Philadelphia a fighting chance. You might be surprised how it compares to many other similar cities along the East Coast. The “City of Brotherly Love” offers its residents an affordable cost of living, along with numerous trendy restaurants and shops to check out. You might fear that living in a large city means that you cannot enjoy the great outdoors. However, in Philadelphia, this simply is not true. With miles of trails to enjoy, you are sure to have fun in the sun, even if you aren’t a nature-lover at heart. We are not done telling you why Philadelphia might be the place for you. No matter where you choose to settle down, you will want to bring your car with you. Use car shipping services to help get your car to your new home. Learn more about Pennsylvania Car Shipping. Although moving to a new home is the most common reason why people use our services, there are other instances where car shipping can be of use. Here are a list of a few of our car shipping services that may be useful to you for more than just a residential move. No matter what your reason is for hiring an auto transport company, you must decide on the type of transport carrier that best suits your needs. You have two main options to choose from. You can either select to use an open or an enclosed carrier to ship your vehicle. What’s the difference? Each option has their advantages. Open auto shipping is the most economical choice and most popular among customers. It is suited for most vehicles. One downside of the carrier is that it does not protect your car from weather or road elements. In contrast, enclosed auto shipping provides more protection for the car, because the carrier has side walls and a roof. This means that your car will be out of the weather and away from dirt, dust, and debris. However, it comes at an added cost. The weather can get cold in Philadelphia. If you are not a fan of the frigid winter months, there is another option. Many people, termed “snowbirds”, escape the colder states for a warmer climate. For their temporary stay, these seasonal travelers choose to use snowbird auto transport. It is the most efficient way to get your car to its destination. 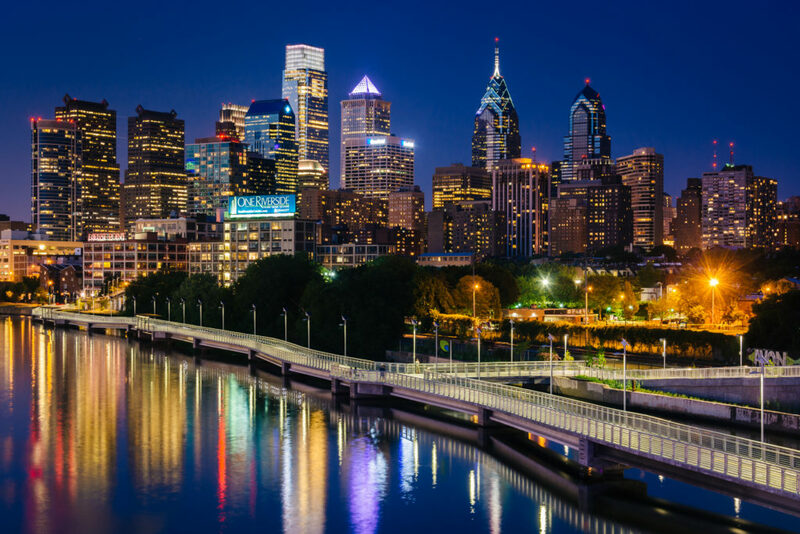 There are a number of top-rated colleges and universities in the Philadelphia area, so it is no surprise if you are planning to continue your education in the city. With the University Of Pennsylvania, Temple University, and Thomas Jefferson University as all possible options, you are sure to find a great program and school for the next four years. Learn more about shipping a car to college. Learn more about the other auto transport services we offer. Living in the second largest East Coast city definitely has it pluses and minuses. You have many different options for entertainment, cuisine, education, healthcare, and employment. However, you will have to overcome a higher cost of living and more traffic. Here are some important tips and things to know about making the move to Philadelphia. Philly is not any different from any other large city in the sense that there are neighborhoods of all kinds. Here are just a few of your options. Fishtown – Home to many hipsters, Fishtown is the cool place to be. There is an abundance of art, music, and culinary skill. The homes are modest, and the community is of the working class. University City – You’ve guessed it, University city is home to many of the city’s college students. Both Drexel and the University of Pennsylvania are close by, making it convenient for students. The night life, art scene, and food also make students want to move here. Philadelphia is the birthplace of America. It was founded in 1682 and played a key role in the Revolutionary War. Philly is also the place where the Founding Fathers got together and established the Declaration of Independence and the Constitution. Benjamin Franklin is every Philly resident’s hero. He was not only vital in the role he played for our country, but he was a big part of Philadelphia history. He helped create the fire station and helped establish the University of Pennsylvania. Today, you can barely turn a corner before seeing a tribute to Benjamin Franklin. This could be a bridge, parkway, museum, sports field, park, mall, business, street name, or one of the many statues or portraits on display. You will also see many Benjamin Franklin role-players wandering the streets as well. Despite being a large city, there are plenty of green spaces. Founder William Penn designed the city to have large green spaces. These are often referred to as squares, because they take up a whole city block. These spaces were designed to bring a healthy and aesthetic gathering area for residents. Need a mover? Contact EverSafe Moving Company. You have decided that you are going to move to Philadelphia and use a car shipping company to help get your vehicle there. What’s next? You will want to get an idea of how much it will cost to ship a car from city to city. To do this, you need to request a free car shipping quote. While many competitors in the auto transport industry make you put in personal information, we do not. At National Dispatch, we believe in providing affordable car transport rates that are easy to get, at just the click of a button. Enter in your vehicle make, vehicle model, pickup location, and delivery location. You’re ready to get your free, instant car shipping quote. If you prefer to speak with an auto transport representative by phone, call us at 800-321-2051.